Inadequate policy limits. Some homeowners try to lower their premiums by purchasing a policy that doesn’t fund their home’s replacement value. That’s often a big mistake. If the cost to replace your home has risen over the years and policy limits haven’t kept pace, you could end up footing the bill for much of the replacement cost (or selling your property at fire sale prices). Personal property not documented. 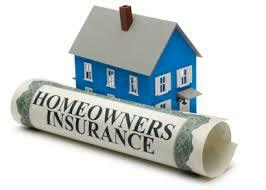 If you need to file a claim, an insurance carrier will want solid evidence that you owned the items being claimed. It’s a good idea to take pictures or videos of all your household goods, and keep receipts of all expensive purchases. Place copies of the pictures and receipts in a safe deposit box and at home in a fireproof safe. You might even send copies to an out-of-town friend or relative. Being able to provide clear evidence of your personal belongings will simplify the claims process and help ensure that you get paid. Valuables not covered. Check your policy to ensure that expensive jewelry, antiques, and other valuables are included. If not, consider adding a rider to the policy that specifically lists such items. Deductible too low. Generally, the higher the deductible, the lower the premium. True, in the event a claim needs to be filed, you’ll pay a bigger chunk of the repair or replacement cost with a high deductible. On the other hand, with a high deductible you’ll generally pay lower premiums each year. By doing careful research and avoiding some common mistakes, your homeowner’s insurance policy will be affordable and still provide solid protection should disaster strike.